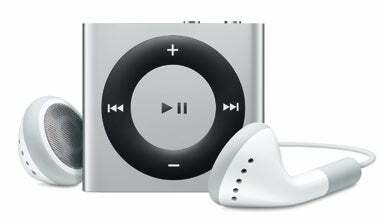 The reviews are in for Apple's new iPod devices including an overhauled iPod Touch, Nano and Shuffle. The iPod Touch appears to gaining the most applause for its addition of FaceTime, a new microphone and better hardware. The new squat and squarish Nano, meanwhile, is getting mixed reviews. The Nano's slick new interface is getting kudos, but feature subtractions, such as video playback, change the all-purpose focus of the device. As for the Shuffle, well, it's the new version of the old version of the Shuffle. What more can you say? The new iPod Touch "has never been closer" to being the iPhone without the phone, according to Macworld's Christopher Breen. Just like the iPhone, the new Touch includes the 326 pixels-per-inch Retina Display, 3-axis gyroscope, front- and rear-facing cameras and 720p video capture, all powered by Apple's A4 processor. The new Touch has also added a microphone and FaceTime video calling software. Despite its new capabilities, however, the iPod Touch still falls short compared to the iPhone 4. The camera resolution is much lower on the Touch than the new iPhone. Breen says video results on the iPod Touch "aren't as good as those produced by the iPhone 4 or one of the better HD pocket camcorders." However, Businessweek "was impressed with both the clarity and the sound quality" of videos on the iPod Touch. Still images are also lower quality on the iPod Touch, and USA Today's Edward C. Baig says new iPod Touch users shouldn't bank on using the new high dynamic range setting to pump up their photos. Apple's HDR feature takes three images taken in close succession, and combines them to create a higher quality still image. Baig says the new feature won't be available for the new Touch when Apple releases HDR with the forthcoming iOS 4.1. The microphone is a welcome addition for the Touch. Not only can you capture audio for video recording, but also for FaceTime or Skype video calling, and mic-dependent applications such as music tagging on Shazam. As for FaceTime, the new app reportedly works just as well as it does on the iPhone 4, but prepare for a few hiccups. Breen says he had no problem using Apple's standard iPhone headsets, but couldn't use his Plantronics Bluetooth headset for FaceTime. Businessweek also says you may have difficulties placing FaceTime calls from an iPod Touch to an iPhone 4 until Apple releases iOS 4.1 in the coming days. The new iPod Touch comes in 8GB, 32GB and 64GB sizes for $229, $299 and $399, respectively. Apple's new Nano is a dramatic change from previous iterations of the device. Gone are the video playback capabilities and video capture, as well as Apple's clickwheel interface. The new Nano is a music-centric device with a 1.54-inch multitouch display. The result is an "eminently usable," but "completely forgettable" device, according to London's Telegraph. The British daily said the new Nano "feels like an over-priced iPod Shuffle," but gave the device thumbs up for its easy-to-use touchscreen interface. Engadget called the device a "smart, fast, capable player." The gadget blog also said that with the loss of the Nano's video camera and video playback capability the debate over "whether to get a Nano or something more full-featured, such as the [iPod Touch]...is dead." Macworld's Dan Frakes said the Nano's photo viewing and FM tuner capabilities are great on the device's new multitouch screen. Frakes also likes the screen's crisp resolution at 220 ppi, but says the device's biggest miss is playback control. "As useful as the Multi-Touch screen can be, it's no substitute for physical playback controls when, say, the iPod is in your pocket, or when you're trying to skip tracks while running or driving," Frakes said. 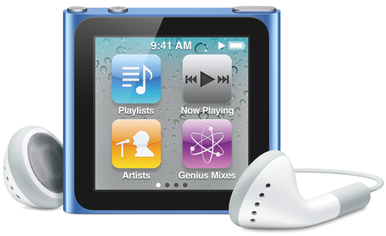 The new iPod Nano comes in 8GB and 16GB sizes for $149 and $179, respectively. As for the new iPod Shuffle, there's not much to say other than the device revives the popular Shuffle design first introduced in 2006. Apple has kept the VoiceOver feature present in the 2009 version of the Shuffle so your iPod can call out song title, playlist name or battery information. Although the device is VoiceOver capable, you have to download and install the VoiceOver software via iTunes, according to gadget Website T3. The new Shuffle offers 2GB of storage for $49. Have you got your new iPod yet? What do you think?